First of all, it’s never a good idea to let Kevan be in charge of navigation. The first thing he did when he got his hands on the Garmin navigation system, was to change the language option from English to German, and the Garmin lady proceeded to chatter off directions to us in German for the rest of the trip. (none of speak a lick of German…) Since none of us could understand her, we were at Kevan’s map-reading mercy, so when it came time to find a place to stop, Kevan made the call. 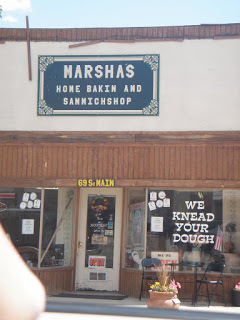 We pulled off into a tiny town called Helper, Utah, a near ghost town with boarded up shop after boarded up shop. So after stopping to fill up at the gas station, we inquired as to where the best place to eat was. As appetizing as a ‘Sammich’ and ‘Home Bakin’ sounded, my appetite for proper grammar led us to continue driving down the road to see what else we could find…a decision that had us following German directions to Pinnacle Brewery. We eventually arrived at an oaky-looking restaurant called Groggs, and we would have continued our hunt for a good lunch if Kevan hadn’t convinced us to stay…and it turns out that we shouldn’t judge, because we ate one of our best meals on this trip. 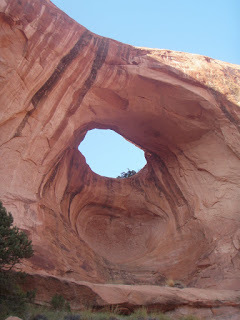 We then continued our journey to Moab, a city settled by Mormans in the 17th century and named for a Biblical city that was just outside the promised land. 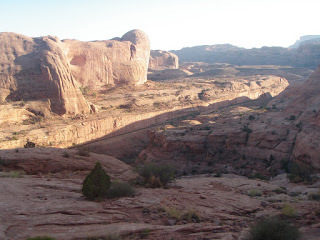 Once arriving it was easy to see why this gorgeous desert land was seen as sacred. 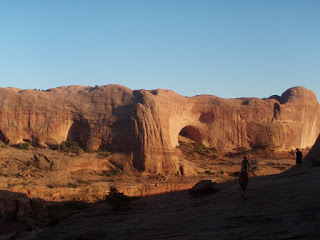 our destination: Corona Arch. 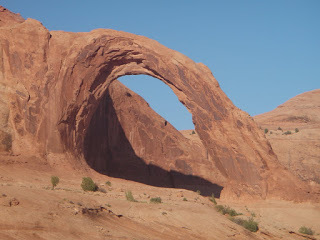 It’s 140 ft tall and 160 ft wide, and is formed purely from wind and erosion. Amazing. Riding the rails! 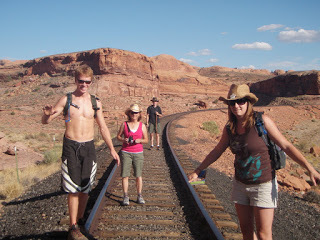 Hiking along the railroad tracks toward the trailhead.